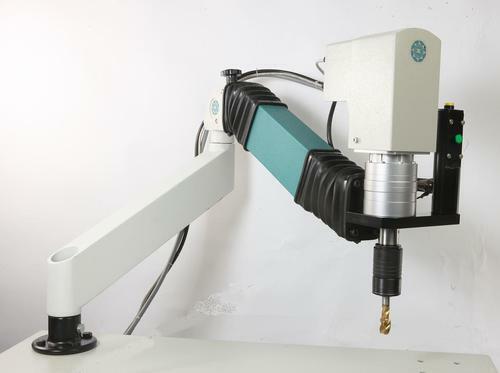 Our range of products include articulated arm hydraulic tapping machine, flex arm tapping machine, tapping machine, automatic pnuematic tapping machine and vertical pneumatic tapping machine. We have a good quality range of Hydraulic Tapping Machine. This is under a wide range of product category named as Hydraulic Tapping Machine. Higher capacity machines can be also manufactured as per the requirements. The tapping operation can be performed on the machine inbuilt table or adjoin component placed on the floor. To perform tapping operation, the operator has to simply locate tap over the drilled hole & press the button for the forward direction. As the tapping head has a float, tap perfectly follow the root of the drilled hole and perform tapping at the desired accuracy. The great part of it is that operator needs not to be a technically skilled person. Coolant Pump System is inbuilt into the machine. On request thread, depth control mechanism can be also incorporated. 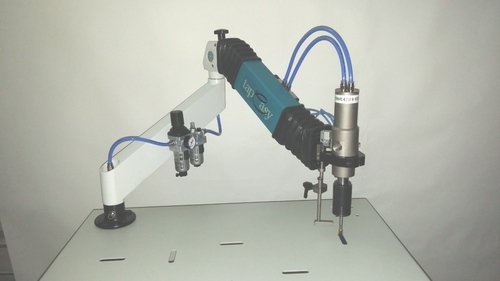 We are dealing into Flex Arm Tapping Machine are designed with the use of best quality materials. Our products are appreciated for their features like longer life, easy to use, sturdy designs, high strength, high functionality, and crack free nature. 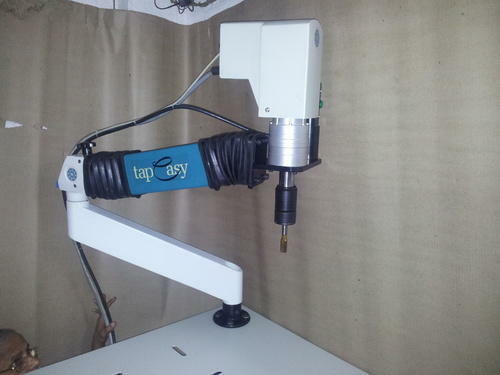 Cost: Tap Easy Tapping machines are very efficient and help avoids breakage. It also eradicates the need for tap skilled worker. It can be securely and accurately activated by anyone. Tension adjusting knob: This is a customer friendly features incorporated to assist the operator to adjust the force he has to apply while locating the tapping head in line with the hole. Quick change tap chuck: This helps in holding various tap holders firmly and saves time in the changeover. Depth control mechanism: This mechanism has been categorically incorporated to tap blind holes as well as to tap holes at a preset depth. This special feature helps in avoiding tap breakage as well as thread damage. 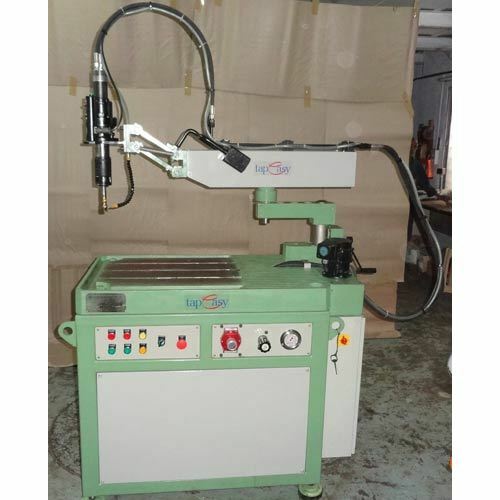 We are offering Automatic Pnuematic Tapping Machine are designed with the use of best quality materials. Our products are appreciated for their features like longer life, easy to use, sturdy designs, high strength, high functionality, and crack free nature. We are manufacturer & Exporter of Vertical Pneumatic Tapping Machine We provide these as per the client's requirement. These are offered at reasonable prices.